ADATA Technology introduces the Ultimate SU900 3D MLC NAND SSD to further expand ADATA's 3D NAND flash storage line up. The ADATA SU900 delivers high-grade 3D MLC NAND and uses the SMI 2258 controller. The SU900 comes in capacities ranging from 256GB to 2TB reinforced by performance-boosting SLC cache buffer. The ADATA SU900 SSD boasts blazing speeds of 560 Mb/s read and 525 Mb/s write and includes a 3.5-inch bracket and 2.5-inch spacer. ADATA also gives the SU900 SSD a 5-year warranty thus ensuring quality and longevity. ADATA uses high-quality 3D MLC NAND flash providing higher density thus giving the SU900 lineup capacities of up to 2TB. Hence, there are lower capacity models for builders on a budget. The ADATA SU900 SSD uses an SMI 2258 controller, pushing 560MB/s read, 525MB/s write, and 85K/90K IOPS. Thanks to ADATA sorting and quality assurance, the SU900 SSDs has a TBW (total bytes written) of up to 800TB and an MTBF (mean time before failure) of 2,000,000 hours. The ADATA SU900 SSD series has onboard DRAM Cache and SLC Cache Buffer that compensates for stress under heavy workloads which enables the SU900 to sustain its high-performance and avoid dropping of speeds. It also helps in minimizing the NAND cell wear-out for a long-term dependability. The ADATA SU900 has a standard 7mm thickness and the 2.5-inch form factor. The SU900 will fit any ultrabook, notebook, mini PC and even the PS4 and PS4 Pro gaming consoles. ADATA also bundled the SU900 with a 2.5-inch spacer/riser to convert the SSD to the 9.5mm drive bays as well as a 2.5-inch to 3.5-inch adapter for other drive bays with the 3.5-inch form factor. ADATA ensures the SU900 can be used to other setups with these bundled accessories. 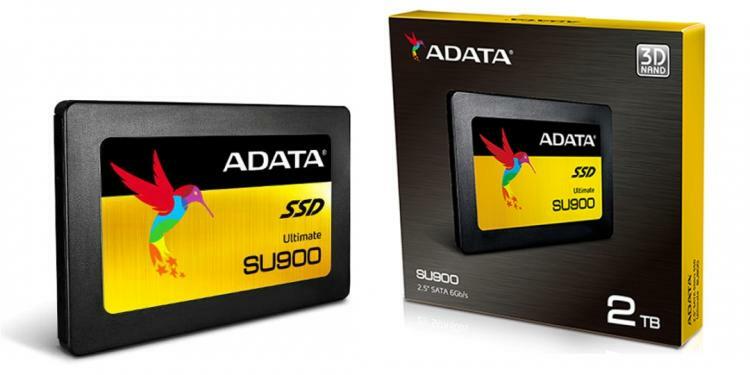 Visit the ADATA website for more information on the SU900 SSD.